About Hurray Kids: One of the most interesting aspects about Hurray Kids is that they follow the World Health Organisation (WHO) recommended Life Skills framework for product design. It offers a wide range of products such as Life Skills Orientation kit, Life Skills Cards, Life Skills worksheets and preschool Life Skills curriculum. Over the next few years, we intend to be a one-stop solution for all sorts of life skill aids. Read more. 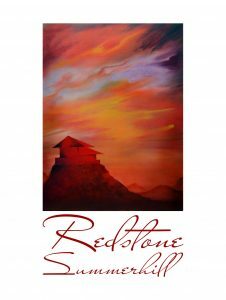 About Redstone Summerhill: Products & Services for self-development because knowledge is the best investment. Read more. About Avishek Ganguly: He adds, “Where we differentiate ourselves from others is here – I come from a talent acquisition background – I have conducted over ONE LAC INTERVIEWS in my career – and it is this relevant industry experience that I carry into my training programs. “I am not here to give gyan. I firmly believe that every individual is capable and has their own mechanism to deal with things, counter stress and overcome challenges. My workshops promise of only relevant information and tips that will help my participants overcome their challenges through their own way. I usually have no script, my workshops are customized and totally audience driven.” Read more. Other details: Juriseye Legal Trainings and Placements Services, as the name suggests, is into training for lawyers, as also for other professionals mainly, CAs and CS and placements. 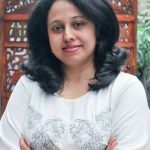 About Jurisye: Ritu explains, “Juriseye– Legal Training and Placement Services”, is primarily for professionals, especially for lawyers. She adds, “Being from that field, I always felt that in spite of being extremely knowledgeable, there are people from my own fraternity, who lack soft skills and therefore are not able to reach their full potential. Secondly, the placement extension is to complement the training wing of Juriseye and to identify the right professional for the right job, as per their strength and flair.” Read more. “Today, as India goes digital, I understand that education must also keep pace. Also, as today’s generation is very tech savvy, they can also learn some things better this way. I believe that parents must use their children’s interest/love for gadgets constructively for their education,” says Meena. Read more. Type of expertise: Special educator for children with Learning Disabilities, ADHD, Down Syndrome, Cerebral Palsy, Autism and Mental Retardation. About Nurturing Talents: Megha Kumbhar, a 43-year-old, Mumbai based B.com and B.Ed. with Special Education qualifications, has been helping and teaching special children for the past 20 years. ‘Nurturing Talents’ as she calls it, has been beautifying the lives of children with Down syndrome, cerebral palsy, mental retardation (mild to severe), learning challenges and even autism. Read more. About Redwood Algorithms: Premier Data Science Consulting and Training Solutions customized for any domain, any organization.